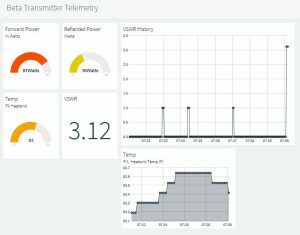 The latest look and feel of the online telemetry dashboard, developed as of the beta version 1.4 Arduino Sketch code. past couple of days. 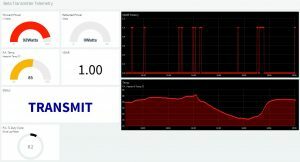 Keyline status monitoring has been added to the circuitry and code (indicating whether the transmitter is in “STANDBY” or “TRANSMIT” mode) which can be seen in real time on the updated dashboard, which has a few added features, including up to 24 hour graphing of the P.A. 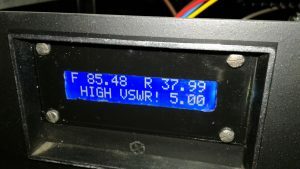 heatsink temperature, and P.A. 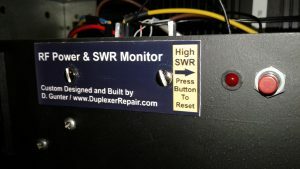 duty cycle percentage display. As I mentioned before, this is a “work in progress” and the imagination is about the only limit to what I can build into this telemetry system. Arduino Mega 2560, topped with an Ethernet shield, along with a Prototyping board with breadboard for convenient modifications, additions, etc. 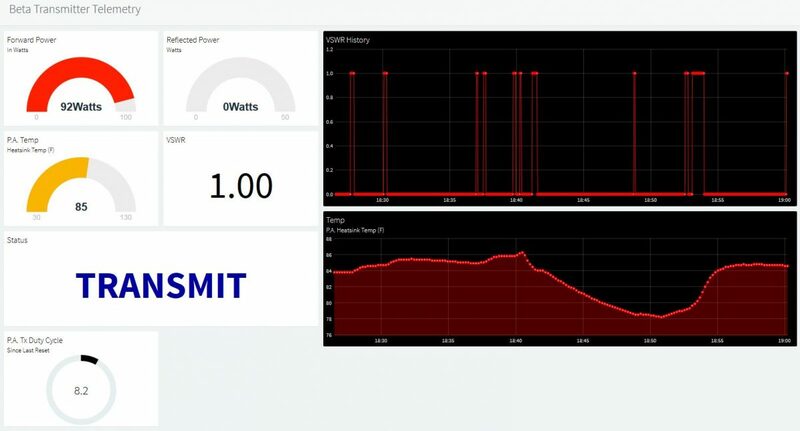 owned by a client, I’ve already begun developing the next generation of the project: an IoT based monitoring system which provides real-time monitoring of system performance. 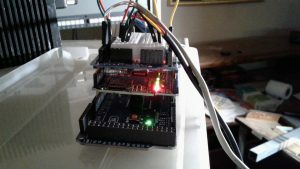 This generation of the project utilizes an Ethernet shield running on an Arduino Mega development board. 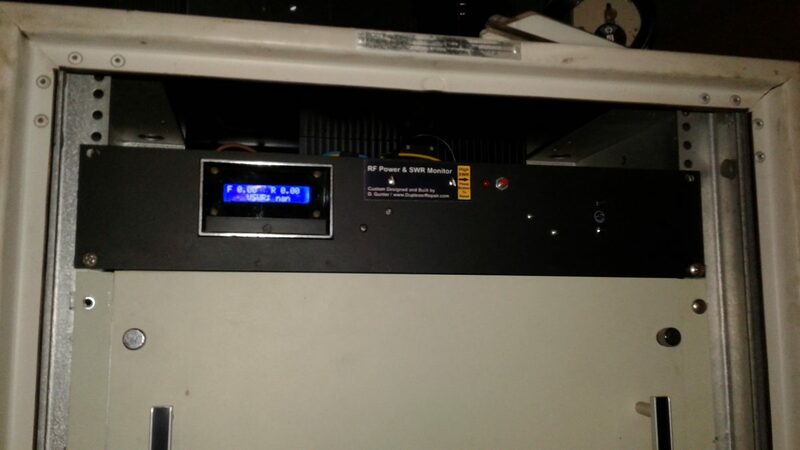 It also has the added feature of temperature monitoring. The thermal probe is strapped to the back of the P.A. heatsink assembly for now. I plan to test locating the thermal probe inside the P.A. final stage cavity, but it remains to be seen whether the high level of RF inside the cavity may interfere with the circuitry which is actually located inside the working end of the probe. Now, it’s time for coffee while I sit and ponder what cool things to do to this creation next. It is truly a work in progress.